TN: Is it a door, or a port? Clairette, bourboulenc and grenache blanc. Web: http://www.adonkeyandgoat.com/texier/home.htm. 97% chenin blanc, 3% chardonnay, 6.7 g/l residual sugar. Alcohol: 13.5%. Closure: cork. Importer: Cape Classics. Web: http://www.kanu.co.za/. 90% garganega, 10% trebbiano di Soave. Alcohol: 12%. Closure: cork. Importer: Empson. Web: http://www.pieropan.it/. Alcohol: 11.5%. Importer: Palm Bay. Web: http://www.sellaemosca.com/. 100% gamay. Alcohol: 12.5%. Closure: cork. Importer: Kobrand. Web: http://www.louisjadot.com/. Cannonau is a synonym for grenache. Alcohol: 13.5%. Closure: cork. Importer: Palm Bay. Web: http://www.sellaemosca.com/. 62% grenache, 17% carignan, 8% counoise, 6% cinsault, 4% mourvèdre, 3% syrah. Alcohol: 14%. Closure: cork. Importer: Violette. Web: http://www.domaine-jean-david.com/. Alcohol: 18%. Closure: screwcap. Importer: Grateful Palate. Web: http://www.kellermeister.com.au/. This underperformance vs. a previous note could be due to bottle variation (which, truth be told, is usually cork variation), but it’s more likely to be due to food variation. The previous bottle was paired with uniform, compatible food, while this one was opened as an apéritif and then forced to accommodate some unusual and variable foods. Remember that every tasting note is a snapshot of a time, place and environment, not an objective and immutable measure of quality. Alcohol: 12.5%. Closure: cork. Importer: Lynch. Web: http://www.kuentz-bas.fr/. There’s so much indifferent chardonnay in the Mâcon (another appellation that chardonnay grown in Beaujolais is entitled to, and the one it usually adopts) that it’s almost remarkable what’s achieved here. Careful vineyard work is the principal reason. Alcohol: 12%. Closure: extruded synthetic. Importer: Louis/Dressner/LDM. Perhaps it’s gewurztraminer’s occasionally scary alcohol levels that wreak fear among winemakers, but the grape is one that requires a certain measure of courage. The wild, musky, powerful aromatics that are its signature must be given time to develop, and that requires hang time. And when the grape does not reach these benchmark characteristics, the temptation to mask faults with residual sugar must, at least in part, be resisted. Sweet bad wine is not inherently better than the dry version, no matter how much counter-evidence of popularity the U.S. beverage industry presents to the contrary. Alcohol: 12.5%. Closure: screwcap. Importer: Vinnovative. Web: https://www.cluver.com/. 36% Viognier, 30% marsanne, 26% grenache blanc, 8% roussanne. I’m not often one who is impressed by tales of long post-opening maintenance (e.g. “this bottle was even better four days later,”) because oxidation is not the same as aging, and it says nothing about the wine other than how resistant to oxidation it is. However, for those who find comfort in such assessments, this was just as good two days later, recorked and unrefrigerated. Alcohol: 14.2%. Closure: cork. Web: http://www.tablascreek.com/. “Saignée” means that the vats were “bled”…juice from red grapes was removed from its skins, leaving it not with the deep red it will acquire from long soaking with the pigmented skins, but rather with (in this case; grapes and wines differ) a lurid pink. Alcohol: 14%. Closure: screwcap. Importer: Southern Starz. Web: http://www.margan.com.au/. This is grenache, showing a lot of the grape’s varietal characteristics (strawberry bubblegum), with some interesting Sardinian elements (the particular balance of the wine) and a little modernistic winemaking (oak, which is rarely my favorite companion to grenache, but which seems to do well here). Alcohol: 13.5%. Closure: cork. Importer: Palm Bay. Web: http://www.sellaemosca.com/. 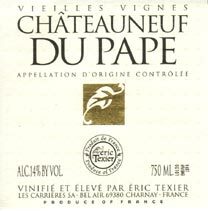 Most (though not all) Côtes-du-Rhône-Villages wines are grenache-dominated blends, but occasionally wineries do all-grenache blends, and label them so. It would be logical to assume that the “Cuvée Garnacho” (a local dialect word for the grape) is one such wine, but it’s not; it’s simply a differentiator between this wine and the less traditional grenache/syrah blend from the same appellation, “Casa Bassa.” Alcohol: 13.5%. Closure: cork. Importer: World Shippers. Web: http://www.domaine-de-cabasse.fr/.